Why is The Grinch such a grouch? No one seems to know, until little Cindy Lou Who takes matters into her own hands and turns both Whoville and The Grinch’s world upside down, inside out… and funny side up in her search for the true meaning of Christmas. Love all The Santa Clause movies – especially 1and 2. I like 3 too but this year they are over playing it. Love all the classics – wish I could get them all in before the end of the season. ANNNND play home alone 2 and santa clause 2!!! WHY?????? Why whould anyone play this TERRIBLE movie?!?!?!?!? WWWWWWHHHHHHYYYYYYYYYYYY????????? Dr. Suess would never stand for this peice of crap bearing his name. These are seriously some of my FAVORITE holiday movies!! Wish I could be there, but alas, I live in another state lol!! Instead, as the holidays seem to get more insane each year, I’ve taken a different approach to getting my holiday movie-fix!! I work for DISH Network, and with the recent release of TV Everywhere, I can now use my phone or tablet to catch all of the live and recorded action from my home TV system!! I got the free TVE download, and now I can watch my live channels, set or watch a DVR recording away from home, and MUCH more!! It’s perfect for any time of year, but this is a great way to ensure I don’t miss a minute of my holiday movies!! Check it out at the DISH homepage for more info!!! 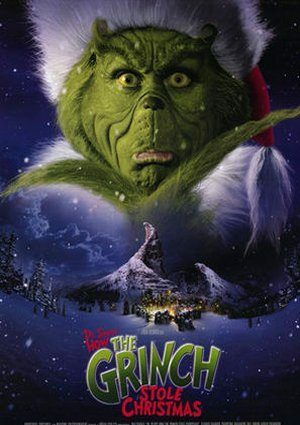 My favorite Christmas movie of all time!